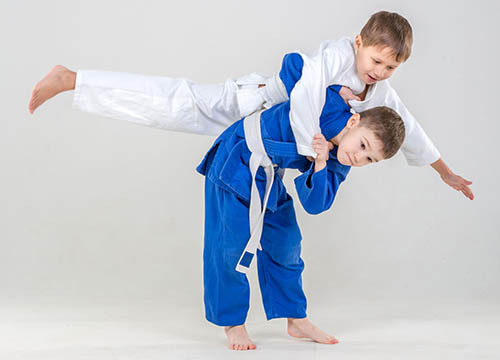 Establishments like The Dojo Singapore, SA Judo Academy, and many others around Singapore offer comprehensive Judo lessons both for kids and adults. Whether for competition, self-defense, or exercise, learning Judo can bring you many benefits. 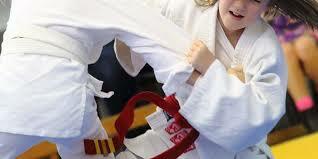 For most people, one thing that holds them back is the idea that Judo is a rough sport that involves a lot of pain. But, truly, there is more to it than that. One thing about practicing Judo is that you’re going to get thrown to the ground a lot of times. But even if it hurts, that’s just how it is, turning again to the old saying “no pain, no gain”. However, as you practice longer, you’ll notice that your body gets tougher and you have a better tolerance for the pain of being thrown. It also gives our mind a great workout. It teaches you mental toughness because you have to fight through discomfort and pain. Judo pushes you to face a problem and think of solutions in a high-pressure environment. In Judo, respect for instructors and training partners is valued very seriously. First of all, you always begin with a bow, a sign of respect with each other. Sometimes, you even bow and shake hands multiple times. Judo is a sport founded in respect for yourself and for your opponent. We not only respect the capabilities and limits of our own bodies, but also that of our training partners’ and opponents’. In the competitive scene, all of that boils down to a respectful match, winning humbly and losing gracefully. Like what was said earlier about respect for yourself and your opponents, Judo requires you to practice self-discipline and control. Even if it is a contact sport, you don’t want to go too far as to injuring your sparring partner and opponent. Recognize that you are learning and getting better together. Practicing Judo also takes self-discipline because in your first few months of practicing, you’ll have a hard time noticing any progress. It trains you to discipline yourself despite losing again and again. The idea of getting thrown on the ground can be a very scary thought for many. This is because the fear of physical pain is already hard-wired into our brain and biological make-up. But it is what it is, pain is a part of Judo. In fact, pain is a part of life in general. Because you’re constantly thrown around, you will be able to face the fears of being hurt by forcing yourself to take the pain. It helps you face your fears head on and not run from it. Of course, you have to understand your limits and know how much pain you can take. Pilates is a combination of relaxation and strengthening exercise. Pilates help a person lighten up the load on his joints and most importantly on his spinal cord. This pilates course which is typically popular in Singapore can also relieve tension and is done through aligning the muscles. One of the reasons why this exercise is performed is because of the incorrect usage of the muscles which affects body posture. Correct Bone Alignment: With proper bone organisation, you muscles will be intact. If the body has a good posture, the joints, ligaments and muscles are in great shape. Therefore, it will reduce the force of gravity which sometimes results to different pains and aches. Adds Physical Strength: It is true you can control how buff or how lean you muscles will be. However, even if what structure of muscles you have, the benefits are the same – it adds you more strength. Increases Flexibility: Strength is nothing without flexibility. To obtain flexibility, Pilates is the exact physical activity for this. This is an amazing way to keep your muscles free from tension and avoid cramps. Builds Endurance: Stamina is what Pilates improves. Not just physical stamina but also mental toughness. Sometimes, mental stamina is really needed especially if you need it. Eliminates Stress: Pilates will be a powerful method to relieve stress. It can also be in a form of breathing exercise while keeping a serene environment. Women are especially conscious about their arms when wearing their sleeveless tops. As a result, women submit to hours of toning their arms. There is nothing wrong with that. If you belong to this group, you should do your best to stick to your routine so you can achieve your ideal arms. Curls: Look for a chair or bench, sit with your legs spreading your legs a little and carry the dumbbell in both arms. Before getting started, make sure to lean forward. Now you can swing your arms downwards and back to your shoulder. Do it ten times. Upright row: After the curls, you can do the upright row. This is easy, think that you are part of a rowing team. Stand straight and carry the dumbbells in front of you. Do not forget to bend your elbows and then row like you mean it. Do it ten times. Band exercises: Band exercises will tone your arms making it stronger. Be sure to stand over the resistance band. You have to spread your feet first before doing the exercise. You should hold each of the band and slowly pull it towards your shoulders. After bringing it upwards, you can drop it to discharge the tension. Then again, exercise will not suffice if you do not change your diet and your eating habits. Toning the body in general comprise of many things not just exercise. If you think that you cannot do everything at once, you have to slow down and enjoy the moment. Do not rush the body. Let the body adapt to the changes and it will surely bring you good times.